Born on Nov 01 1973, she turns 44 today. But does age really matter? Aishwarya Rai Bachchan poses on the red carpet in Cannes, France, on May 19, 2017. Only she could do justice to this Michael Cinco dress. 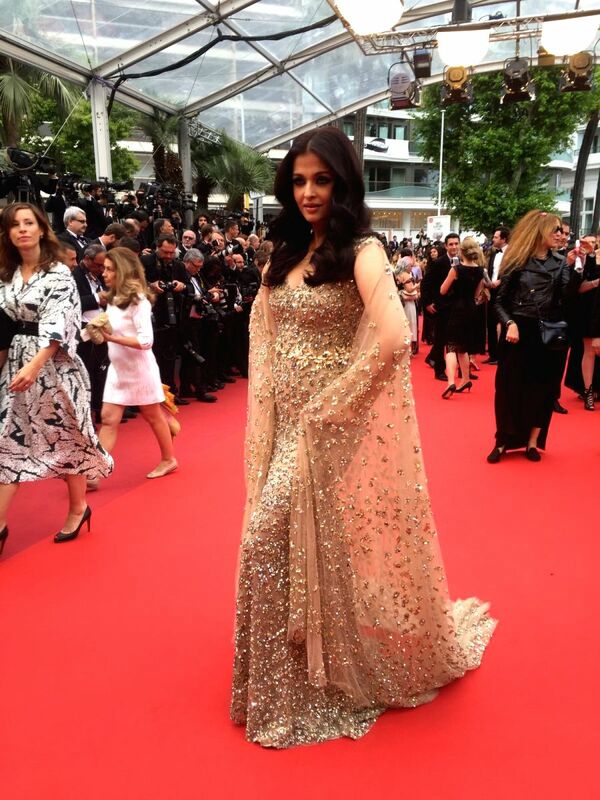 L` Oreal Paris ambassador Aishwarya Rai Bachchan snapped at her second appearance on Cannes 2015 Red Carpet. She nailed it with this Ralph and Russo number. She knows how to strike a pose! Aishwarya Rai Bachchan on the Cannes red carpet in 2016. She graced the red carpet with this Roberto Cavalli gown. Gorgeous! She can easily pull off any style. No wonder she looks beautiful in these long flowing gowns. Actress Aishwarya Rai poses on red carpet as she arrives at the 69th Cannes Film Festival in Cannes, France, May 14, 2016. She looks stunning in whatever she wears. Now that's what we believe you may say too .